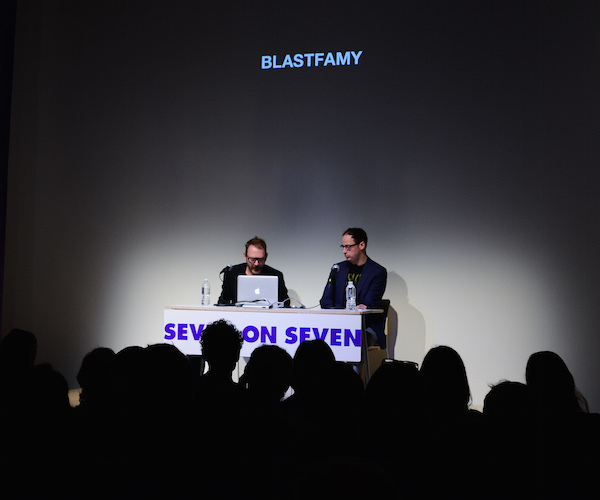 EITHER WE INSPIRE OR WE EXPIRE (2015) by artist Liam Gillick and data journalist Nate Silver considers technological failure and its lack of visibility in a society obsessed with success. Created as part of Rhizome'’s Seven on Seven conference, which convenes leading artists and technologists for high-level collaborations, this web-based project draws on a selection of words handpicked by Gillick and Silver—such as THE .COM FOR MOMS, ASSASSIN VAPORS, DRONE CON, and WRAPIPEDIA—from a database of inactive trademark applications. Gillick and Silver embarked on the project by taking one of the questions commonly addressed using statistical analysis—How can we reduce risk?—and inverting it, asking instead: How can we guarantee risk? Applying this question to the creative process, Silver observed that our understanding of innovation suffers from "sample bias": we have a distorted perception of the success rate of new ideas because only the successful ones, or the ones that change the game or disrupt an industry, are discussed. Thus, failure in creative production and innovation represents a "dark corner" for statisticians. The database of failed trademarks that Gillick and Silver used for the project lists 4.5 million companies whose ideas didn't quite play out. From this vast trove, they curated a selection of names, presenting them one after another in a web-based slideshow that puts a momentary spotlight on the traces of failure in creativity and innovation. The words appear in white on a black background, with each entry representing a set of aspirations: sometimes grandiose, sometimes humble, sometimes sad or funny, but always unrealized. Major support for First Look is provided by the Neeson/Edlis Artist Commissions Fund. Additional support is provided by the New York State Council on the Arts and the Toby Devan Lewis Emerging Artists Exhibitions Fund.